The Ukku cushion: An iconic creation by Anuka perfect for small children's room. Anuka is a brand that specifically addresses children, trying not only to meet their needs but also to foster their fervent imagination. The Ukku cushion is one of the most iconic creations of this brand: Anuka offers many different cushions, but Ukku is undoubtedly one of the most sought after. 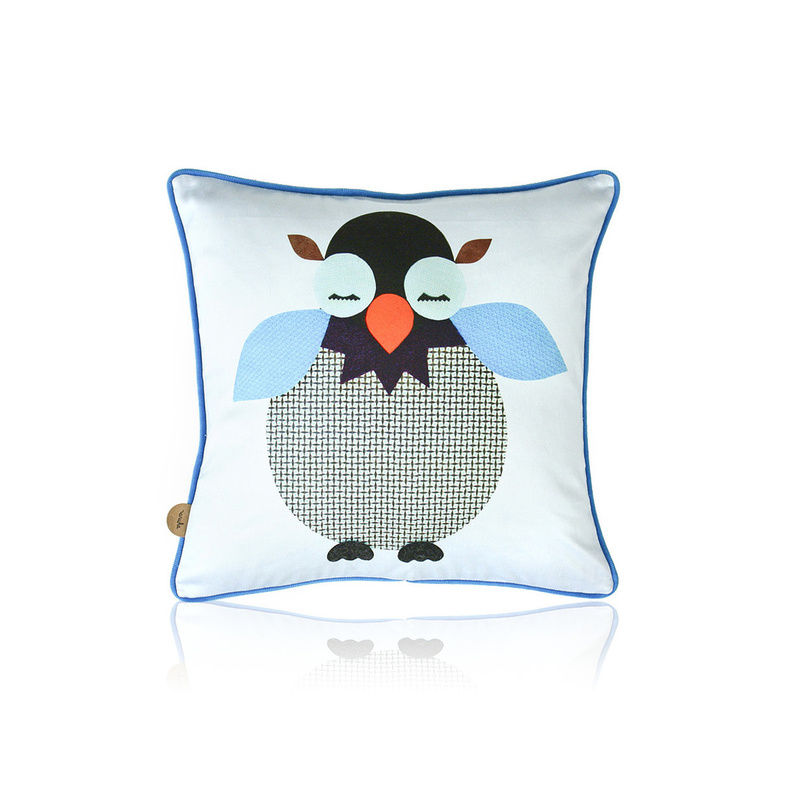 Ukku is a simple and graceful cushion, rather simple and compact size but featuring a cute design: a sleepy owl. In its essence, this design can immediately capture attention, so this cushion can influence the decor of the context in which it is placed. Various colours come together in this cushion, but the predominant one is undoubtedly blue, in a shade that is lively yet restful at the same time. Traditional in shape with a square face measuring 40 cm on each side, the size of this cushion allows you to use it in the most diverse contexts, even placing it on a child’s seat. If you are wondering where to use this cushion, the possibilities are endless. It is a wonderful idea to place it on a child’s bed, just as on an armchair or a couch – Ukku is destined to be a true wild card! When it comes to articles dedicated to children, quality and safety of materials are of paramount importance, and this cushion can offer the most solid guarantee on both fronts as it features a lining in pure cotton and a padding in a soft and hypoallergenic polyester fibre. The cushion also comes equipped with a handy zipper and decorated with a small label bearing Anuka’s logo. As you can easily imagine, the Ukku cushion can be a great idea for anyone looking for an interesting idea for a gift.